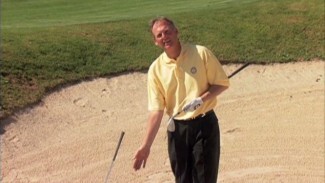 As with most scenarios in golf, the solution is often very simple; it’s the execution that gets golfers in trouble. Slowing down your swing can help you quickly rediscover a smooth tempo, controlled golf stroke and straight golf ball flight. However, when the frustration builds, many amateur players begin to feel as if their swing is getting away from them, and they overcompensate and often swing even harder. 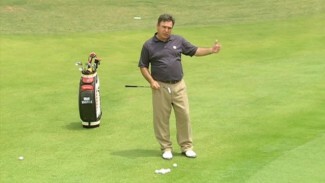 In most cases, the simple solution for wayward shots is a matter of improving your angles. If you can get your shoulders square and your feet and club aligned, you can get back to the basics. 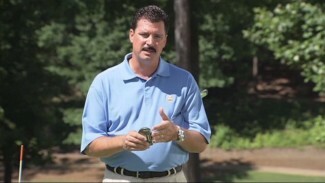 To help you discover your best stance for a solid swing every shot, PGA Professional Michael Peterson discusses some of the essentials of golf ball flight, with a focus on figuring out how to make the club do a little more so you can do a little less. Find out how to get your swing straightened out and flying high with an easy lesson in geometry. Why isn’t my golf ball flight as straight as the pros? 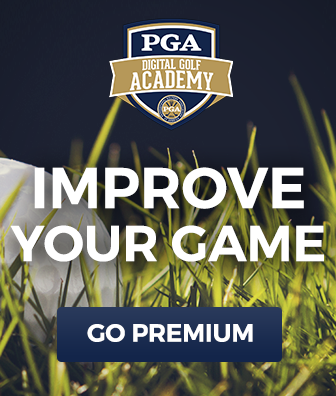 Golf instructors help players every day to improve their golf ball flight and become straighter strikers of the ball, and while there are new theories introduced all the time, there is one constant that will always explain why a golf shot ends up where it does. Geometry. Angles. Does the center of your clubface strike the golf ball at exactly zero degrees? If not, your goal is to make it do so. When your angles are correct, your golf ball flight will be straight, and you will likely hit your target. 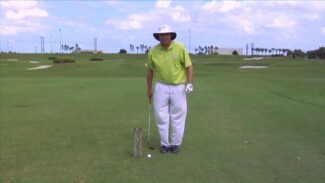 With this idea in mind, Michael Peterson ends by demonstrating a simple drill that will help you use the angle of your club to determine golf ball flight, so instead of you doing all the work the club takes the brunt of it. Follow Michael’s advice on straightening out your golf ball flight, and we guarantee it’s the only tip you’ll need to find your best golf stroke and lower your score.